“The living need charity more than the dead” so stated the US poet George Arnold. Why am I mentioning charity whilst describing a Welsh hotel in 200 acres? Well, Bodysgallen Hall is one of three hotels that were donated to the National Trust, a charity, to ensure their long-term protection. So a stay at this Welsh hotel with views of Snowdonia means you are giving back and during my stay I needed some charity! 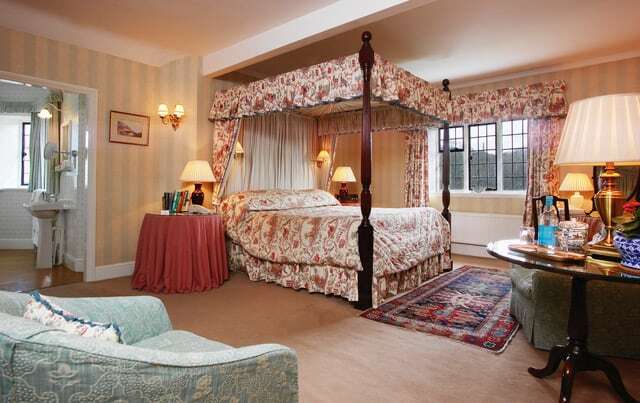 Bodysgallen Hall is home to just 31 bedrooms split between spacious suites in the grand house and country cottages with their own outdoor space. The hotel has a traditional feel and this is something they celebrate. 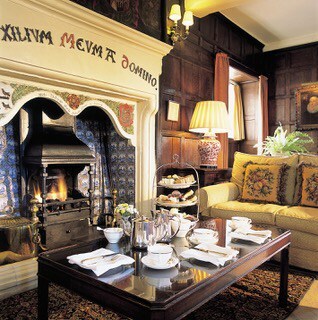 You can play Lord and Lady of the manor here and staff are always available to bring you tea and biscuits whilst you sit by an open fire. The restaurant at Bodysgallen overlooks the stunning gardens and was recently awarded 3 AA Rosettes, which means it is very good but not fancy. The menu showcases traditional Welsh and European dishes. Breakfast, which is also good, is served in this room and the daytime views are wonderful of both gardens and distant castle and you’ll see snow on the mountains too. The Bodysgallen Spa located in the grounds of the hotel includes a spacious swimming pool with steam room and sauna and a sun terrace. 17th century Bodysgallen Hall is well placed for visiting the castles, coasts and mountains of North Wales. Steeped in history, it is said that North Wales is the ‘castle capital of the world’ and it certainly has its fair share. Five miles from Llandudno, the medieval walled town of Conwy oozes history and is dominated by the World Heritage-listed castle for which it is famous. Rising from a rocky outcrop, with dark stone towers and turrets, Conwy Castle has views across Snowdonia and the quaint town beneath with its battlement walks and quay. Many hotels boast of their beautiful gardens but Bodysgallen Hall has even more reason to boast. The hotel is located in over 200 acres of gardens and parkland. 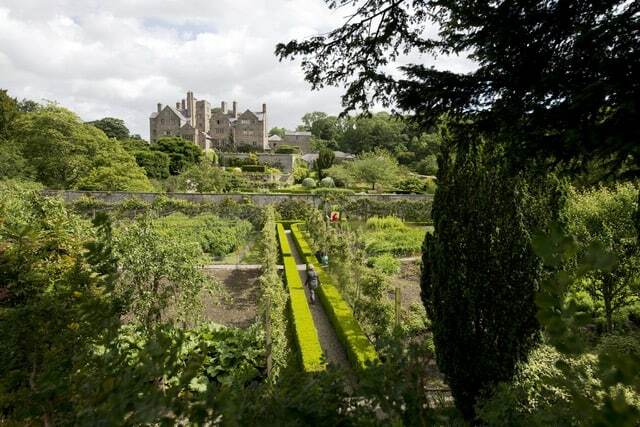 Award-winning restored gardens feature several follies, a walled garden, lily-pad ponds and a rare 17th century parterre of box hedges filled with colourful sweet herbs. An extensive kitchen garden is also available and Head Chef John Williams creates seasonal dishes with the garden’s produce. You can walk for around an hour and play croquet. Throughout the year the head gardener also hosts several garden tours if that is your thing. I like trees. Do you? Surrounding the house, guests can follow a trail with their own map and discover prize specimen trees and areas of the gardens, all with their own distinct identity including the Commemorative English Oak. This tree, planted in the main park, commemorates Colonel Henry Mostyn who raised the 17th Battalion of the Royal Welsh Fusiliers to fight in the First World War. The Fusiliers were all local men whom Colonel Mostyn paraded in the park to the north of the house – this being the only piece of level land. The Oak tree now stands in the centre of the area. The 100th anniversary is marked in 2017 when another oak will be planted to remember the Royal Welch Fusiliers.